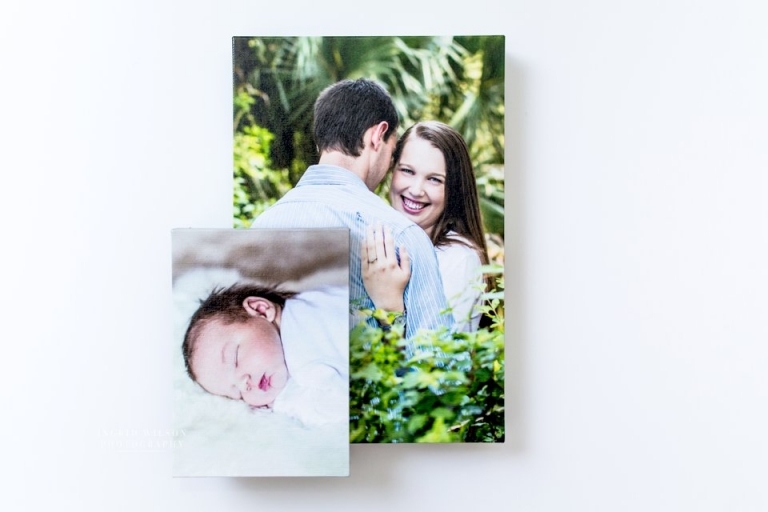 Gallery wrap canvases are my favorite way to display client images for many reasons. 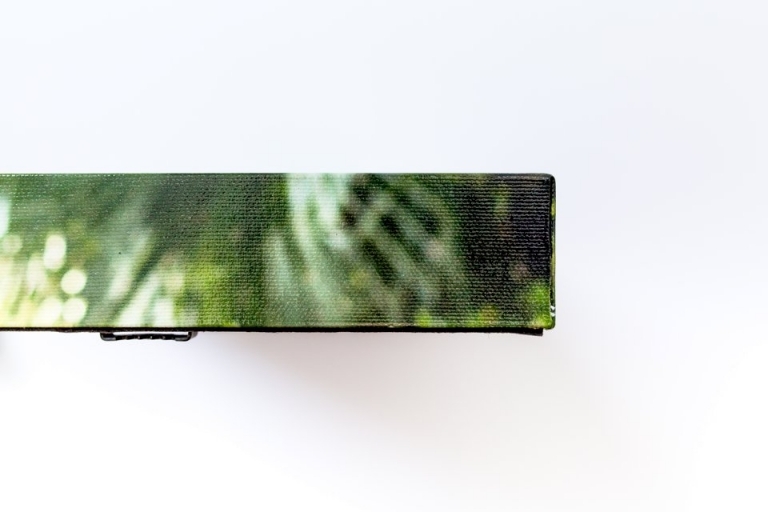 Not only are they beautiful art pieces that are perfect for any space, they are also extremely durable and economical. 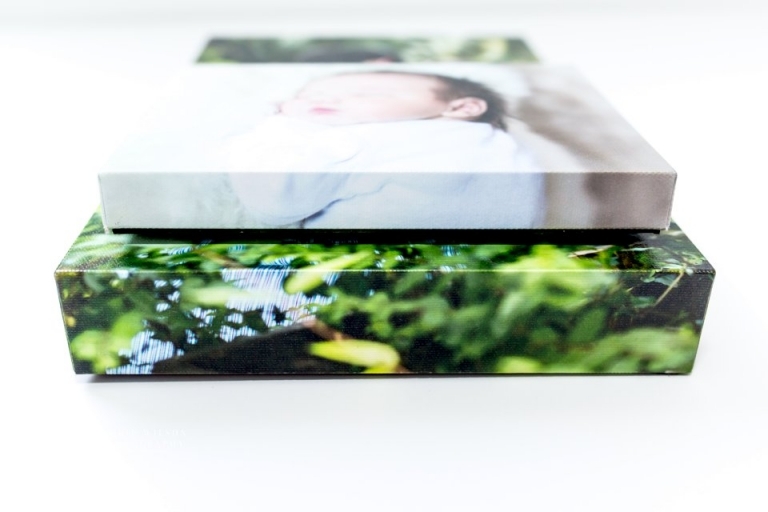 Because they don’t require additional framing- you don’t have an additional expense, nor is there a distracting glare from the frame glass. 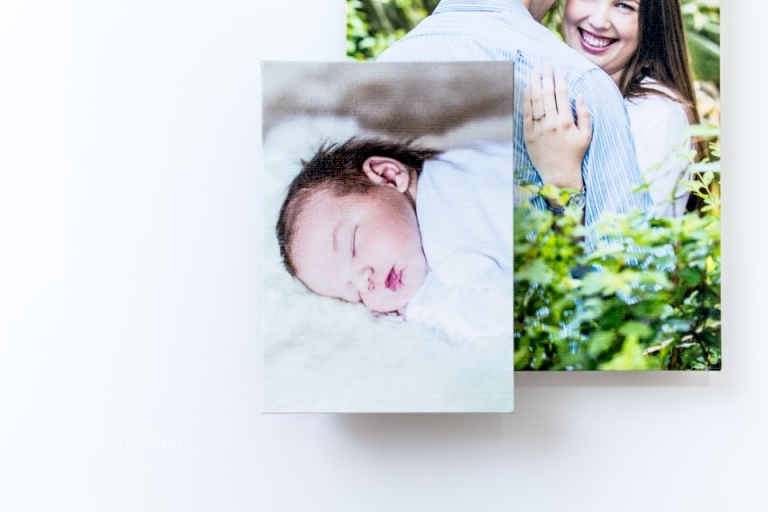 While it is still a good idea to hang all art pieces out of direct and harsh light, these canvases are protected with a UV coating that prevents fading over time. They can even be wiped clean with a damp cloth! 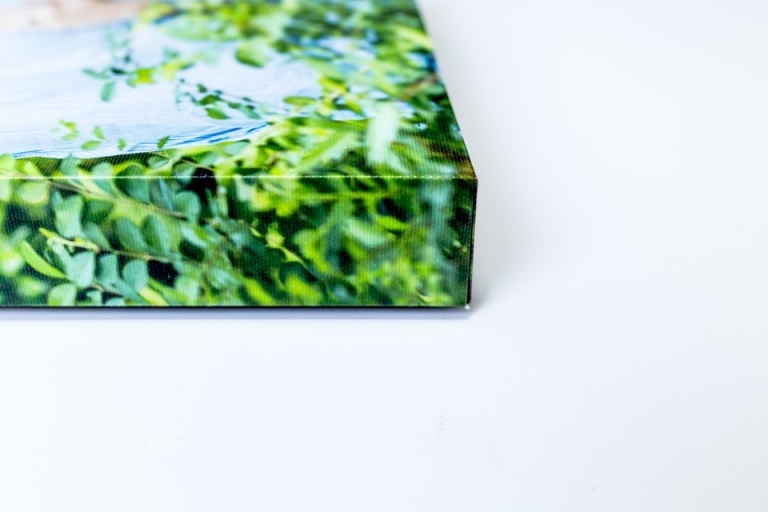 Gallery wrap canvases are available in two depths: .75″ and 1.5″ and they come in every size imaginable, from 4×4 all the way up to 30×40 (the 1.5″ sizes begin at 8×10).